​ArborBLU, a 13-story student housing complex, is currently under construction near the University of Michigan campus in Ann Arbor. Once completed, the building will have 123 units with 232 beds in a mixture of one-, two- and three-bedroom units; an innovative fitness studio; a café study lounge; a rooftop terrace with stadium views and a club room. The construction team continued work on ArborBLU through the cold of January and will do so into February. They’re making significant progress on the basement walls, footings and pile caps while working simultaneously on the superstructure erection as it sits on top of the existing Pizza House restaurant. 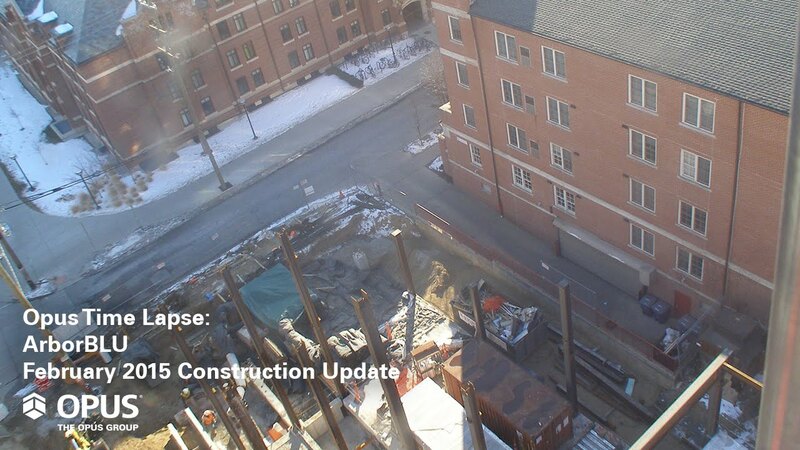 Construction on ArborBLU is scheduled for completion prior to the start of the fall 2015 semester.